A beautifully written historical novel which has sold well nationwide in paperback. Readers are already enquiring about the promised sequel to this page turner. "It was the hour of five on a winter's morning. The distant toll of a factory bell echoed across the valley striking wakefullness and dread wherever it was heard. For the army of child slaves, compelled to work amongst the ceaseless whirring of a million hissing wheels, another day had begun. Tiny footprints in the snow showed where some had hurried and others had fallen behind sobbing, aware that the lash of the whip awaited them...."
Recently orphaned, Jack and Beth flee east across the Pennines to escape the horrors of a Bradford mill in the 1830’s. Gripping, heart-rending and uplifting by turn, this fast-moving novel carries the reader through the subsequent twelve years as they struggle to survive and find fulfilment. Played out against a background of Yorkshire stately homes, chance encounters, forbidden loves, gypsy entanglements, asylums and even the Arctic North, their fortunes wax and wane until the very last page. Interwoven throughout are the inspirational efforts of early reformers such as Richard Oastler whose statue in Bradford, embracing two mill children, marks his achievements to this day. Winter 1830. A bedraggled army of beaten and hungry children stumbles to work in a Bradford wool mill. One child falls dead and lies forgotten in the snow. It’s a dramatic start to Scarborough author Suzanne Marshall’s tale of two cousins, Jack and Beth, who flee the mill to escape a miserable fate. A chance encounter with the aristocratic Henry Cunningham offers a safe haven. But Henry is fighting his own demons. With the writer weaving her plot strands like threads in a bolt of cloth, local colour continually drives the action. Seamer Horse Fair and Raincliffe Woods are the settings for life-changing events. Huge whaling ships in Scarborough harbour take the story into new and turbulent waters, the canvas billowing as they put to sea. The suffering of mill children re-enters the story via gossip overheard in a York inn. It concerns “Factory King” Richard Oastler and his campaign to improve their lives in the face of hefty political opposition – this is historical fact. Meanwhile, the Bradford mill Jack and Beth left behind still claims its victims and waits for more. 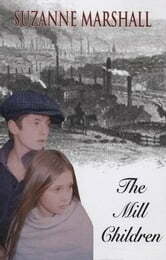 The Mill Children will please its intended readership. The author’s lyrical style suits her material admirably and gives it the ring of authenticity. It’s a fireside book, combining the harsh truths about mill brutality with the sweetening honey of romance. I couldn't put this book down. everything was so compelling. I was actually there in the story. I most interesting story based on true happenings. 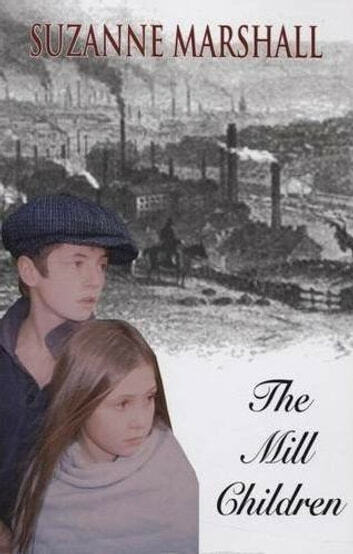 A great educational story of the mills. I come from Lancashire and can remember elderly teachers telling me such things. A somewhat detailed account of the plight of children working in the textile mills,although terribly sad the book was well written & very enjoyable could not put it down. Good picture of the horrors endured by young children in the mills. I felt the ending rather weak and predictable.